The Insurance Choice Awards 2016 are live! We’re launching the Insurance Choice Awards to help find the best insurance companies in the UK. We want you to share your insurance experiences with us to help other consumers find the best insurance products and providers on the market. Voting begins on 1st August 2016 and ends on 28th October 2016. How do I vote in the awards? 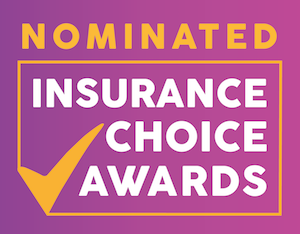 The Insurance Choice Awards are a national campaign to take the pulse of customers across 26 insurance product types. We’ve launched these awards to find out what makes insurance customers smile and what makes them see red. We want to know which insurance providers rock your boat, and which ones drive you around the bend. So far in 2016, customers give insurers a 70% overall satisfaction rating, but banking comes up trumps with an 82% overall satisfaction rating. By the end of our campaign, we’ll find out even more about how the Insurance market is performing for consumers. It’s easy! Just click here to find the company you wish to vote for (whether you love or hate them) and leave a quick review. It should take less than two minutes! We’ll also be giving out £100 to a lucky winner once every two weeks through the awards. Everyone who leaves a review of their insurance company will be entered into the draw, and there’s no limit to how many times you can enter! Maximise your chances by reviewing at least one insurance company every two weeks.